Amrit Kumar is the Co-founder and Head of Research at Zilliqa. He lives in Singapore. Amrit started his career in 2011 as an Intern at Michelin. From 2012 to 2013 he worked at French Institute for Research in Computer Science and Automation. In 2016, he served as a Visiting Research Scholar at University of Calgary. 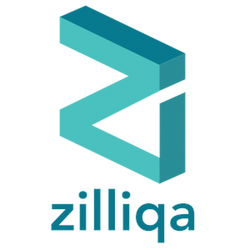 In 2017, Amrit co-founded Zilliqa. Kumar is also a Research fellow at National University of Singapore. Amrit is a graduate of École Polytechnique and Grenoble Institute of Technology. He also holds a Doctor of Philosophy from Université Grenoble-Alpes. All information for Amrit Kumar's wiki comes from the below links. Any source is valid, including Twitter, Facebook, Instagram, and LinkedIn. Pictures, videos, biodata, and files relating to Amrit Kumar are also acceptable encyclopedic sources. Other wiki pages related to Amrit Kumar.